With the March 2 release of its new Financial Responsibility Report, PNC Bank tightened its restrictions on funding mountaintop-removal mining projects. Mountain-top removal (MTR) is a form of strip-mining practiced in West Virginia and elsewhere. The process lops off the tops of mountains to get the coal beneath; dislodged rock is frequently dumped into nearby valleys. Environmentalists say the process harms wildlife, contaminates drinking water and endangers community health. 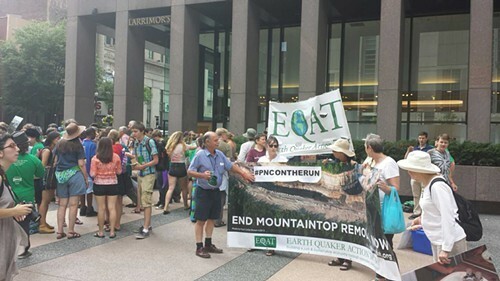 PNC has been the target of several actions in the past few years from environmental groups, mainly the Earth Quaker Action Team (EQAT) and the Rainforest Action Network (RAN). 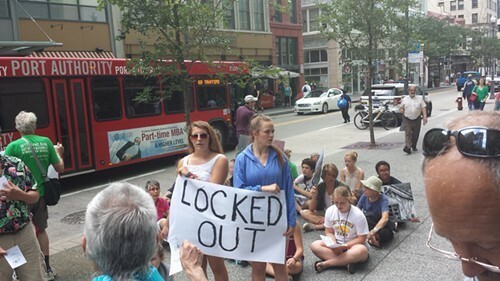 Last July, more than 200 EQAT protesters swarmed PNC branches and its Downtown headquarters and urged customers to divest from the bank until the policy changed. environmental considerations a more prominent factor in PNC’s lending while still balancing those considerations with the economic needs of the communities we serve. As part of these efforts, we enhanced PNC’s mountaintop removal (MTR) financing policy. Due to environmental and health concerns, as well as our risk appetite, our MTR financing exposure has declined significantly over time, with current exposure to firms participating in MTR representing less than one-quarter of one percent of PNC’s total financing commitments, and it will continue to decline." 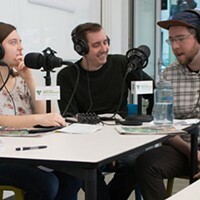 Members of EQAT called the policy change a "win." PNC has long publicized its environmental agenda, touting the green-building principles being used in its Tower at PNC Plaza project currently underway Downtown. And in 2010, the company announced that it would no longer provide financing to "to individual MTR projects" nor to "coal producers whose primary extraction method is MTR." But environmentalists say little changed, in part because there are no coal producers who use MTR as their principal extraction method. 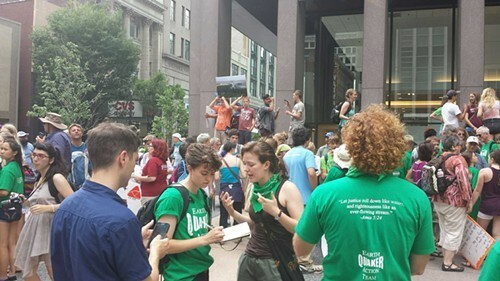 Rainforest Action Network, which issues an annual report card on banks' energy policies, found that in 2013, PNC provided $211 million to companies engaged in MTR, and that PNC ranked seventh among 12 banks for financing firms that used MTR. 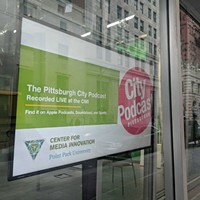 (The financing was for companies that engage in MTR, but not necessarily for specific projects, which PNC's policy forbids.) That's far less than the $687 million in financing PNC provided in 2012, when it ranked third among lenders supporting MTR businesses, but RAN attributes the drop to a decline in coal demand and other business factors. Monday's move, activists say is a "positive step." Members of EQAT said Monday's announcement is "a major victory from a long campaign."